Hey everyone, Robin here. I thought I would stop by and let people know how the release of Age of Swords is going. The answer - very well! We were thrilled that Barnes & Noble chose to highlight Age of Swords in their post about books coming out this week. Assassin’s Price by L.E. Modesitt, Jr.
Of course I watch the amazon rankings on release day, and the kindle version of Age of Swords peaked at 301 (280 places higher than Age of Myth's debut). The hardcover also beat Age of Myth reaching 1,923 (388 points higher than it's predecessor). But there's something even better than being on the Hottest New Release list, and that's being high on the bestsellers list. 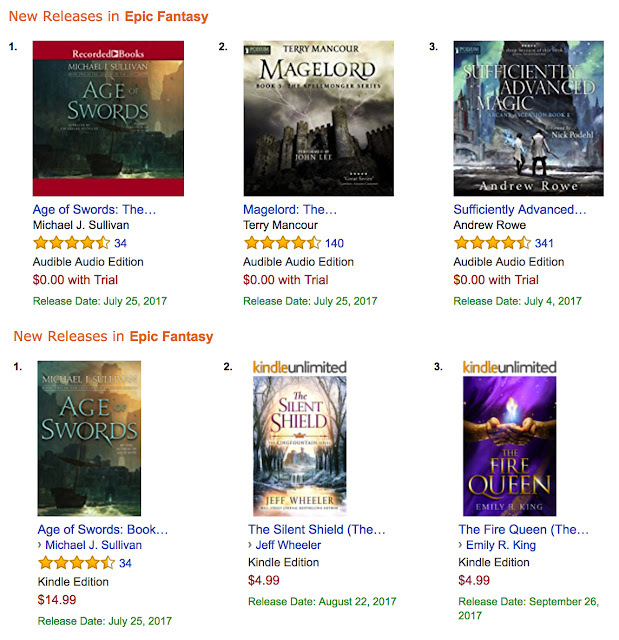 I just looked at the Epic audio best-sellers, and I was pleasantly surprised to see Age of Swords at #2 (sandwiched between Game of Thrones and another book from Martin's popular Song of Ice and Fire series). When looking at the Epic best-seller list for books we see the audio at #7 and the ebook at #23. The fact that the hardcover isn't on the list doesn't bother me as there are no hard covers on that list and only two paperbacks (Game of Thrones box set and Name of the Wind). All of this is a direct result of strong pre-order sales - so thanks to those who put in your orders early. Here's how Age of Swords compares against Age of Myth with regards to pre-orders: ebook up 59%, hardcover up 59%, audio up 45%! 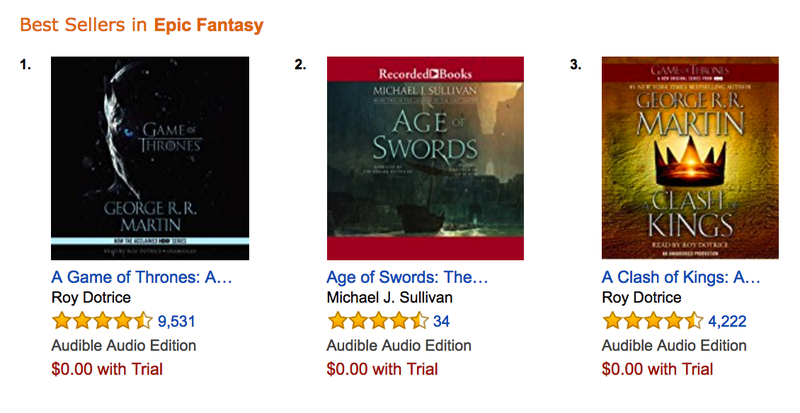 It's so great to see that people enjoyed Age of Myth so much that they wanted to jumped right in with Age of Swords. Well, that's it from here. As always, our thanks go out to everyone for your support. I still have one last "launch thing" to do: writing the Making of Age of Swords, which I'm doing now. It should be available shortly. 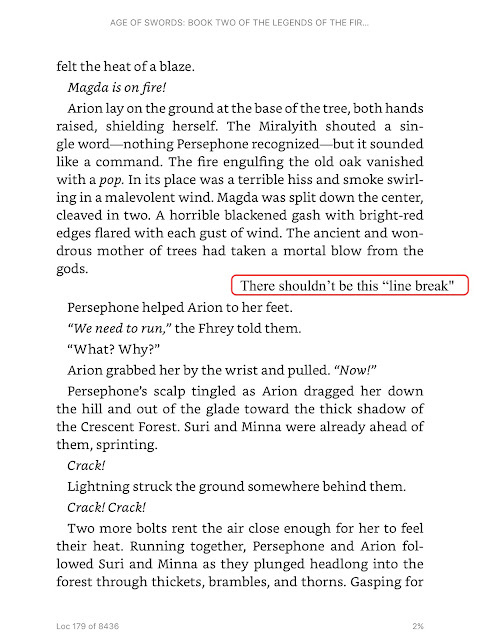 I started seeing some reports of odd line breaks in the ebook of Age of Swords that made it difficult to tell when a scene ended and when one is continuing. My initial thought was that this must be a one time fluke and the person seeing the problem should just re-download. Then I got another report and then another. So I bought a copy myself, and verified that there is indeed a problem. I've, of course, contacted my publisher, and I'm sure they'll get it addressed right away. 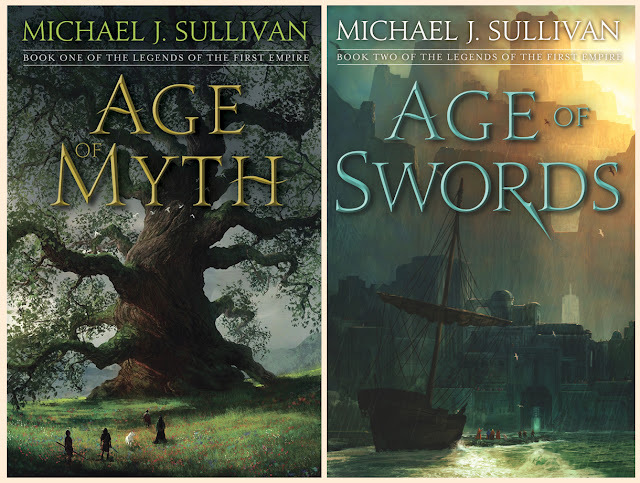 Send an email to michael.sullivan.dc@gmail.com with a subject of "Send corrected Age of Swords ebook"
Attach proof of purchase (your receipt or a screenshot of the book in your library. And I'll email you a link where you can get your corrected version. I apologize for this inconvenience, and we'll get it fixed just as soon as possible. Robin's been able to take a few minutes and get Age of Swords added to my store, so those who want to buy the book directly from me (and get them signed), you can do so from this link. It's Age of Swords Release Day! It's finally here! Age of Swords (Book #2 of The Legends of the First Empire) is officially for sale. 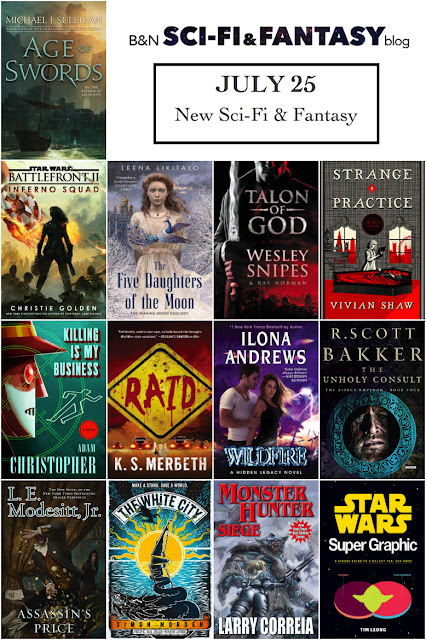 And it's The Hottest New Release in Fantasy! Thanks so much everyone for pre-ordering! If you're about to dig in and want to refresh your memory about what happened in Age of Myth, here's a quick refresh that Robin put together. For those looking to get the book directly from me, I've not put it on my store yet, but here is a page where you can get a signed copy. Now, granted, this is a momentary snapshot in time, if a similar search were to have been done in say February, the results would be much different, but it's close to release day so it's a good time for us to take a look at how Age of Swords is doing. She (and I) were quite pleased with the results. Age of Swords is #6 (very respectable) especially given the company it's in. New releases by Tolkien, George R.R. 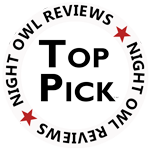 Martin, Sanderson (2 books making the list), and many other foundations of the fantasy genre are on the list. If you are looking for a hot new release, here are the titles along with their release dates for ordering (or pre-ordering). Out of curiosity, we checked where Age of War (Book #3 of Legends of the First Empire) was falling and were pleased to find it in the top 50 (at 39). Pretty good considering it doesn't come out until next April! 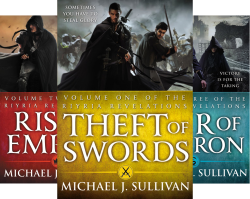 Theft of Swords is a Kindle Daily Deal -- just $2.99 today only! I just returned from vacation to discover that Theft of Swords (Book #1 of the Riyria Revelations is one of the Kindle Daily Deals. So, today only it is priced at $2.99 rather than it's regular $9.99 price point. That's 60% off. So, if you've been considering checking out the adventures of Royce and Hadrian, now would be a good time to give them a try. Or, if you're already a fan, consider gifting Theft of Swords to your favorite fantasy fanatic. Maybe they'll get as hooked as you are!